Argentine political history is replete with truths stranger than most fictions. From the almost-religious populism of Perón, to a military government with the power to make citizens “disappear,” to the present controversy over a lawyer murdered after writing a request for the president’s arrest, the country has lived through no shortage of disturbing twists and turns. In a novel that is at once amusing and depressing, Carlos Gamerro addresses the people and the politics of his home country with The Adventure of the Busts of Eva Perón. His protagonist is the hapless Ernesto Marroné, the clean-cut and constipated head of procurement at a construction company whose imposing CEO is kidnapped by the Montoneros (Perónist guerillas and the scourge of the big-business establishment in 1970s Argentina). One demand for his release is that a bust of Eva Perón be placed in all ninety-two of the company’s offices; naturally, it falls to Marroné to round up the statues. From that point on, the reader follows Marroné down a picaresque rabbit hole as he makes himself a feigned labor leader, explores the dilapidated shacks of lower-class Buenos Aires, and comes to identify Evita herself as the shining light that will lead his quest to its hopefully triumphant conclusion. The comparison to a knight’s quest is appropriate, as Marroné undertakes his journey according to handy tips from Don Quixote: The Executive-Errant as well as a host of other self-help texts that lend clarity to his endearingly tragic existence. Trapped in a life marked by crushed ambitions, sexual frustration, and a rough home life, Marroné uses his mission for the busts as a pursuit of purpose, seeking the new life that only his own “17th October”—or perhaps a promotion—could provide. Like most examples of the picaresque, The Adventure of the Busts of Eva Perón serves as both a rousing human story and a critique of an irrevocably flawed society. Apathy and passion coexist such that change seems impossible; heroic hopes for revolution tend to become ridiculous. In Gamerro’s fiction as in reality, it is hard to come to grips with Argentina. 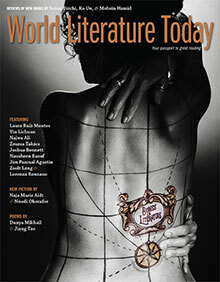 Finally, the novel’s translation deserves high praise. The collaborative effort between the bilingual Gamerro and Ian Barnett turns colorful Spanish prose into funny, distinctly British English that evokes the novel’s working-class bruisers and prim-and-proper business sharks with equal aptitude. 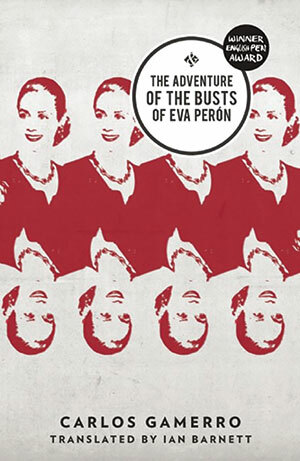 At a moment when Argentina is as confusing as ever for an outsider, English readers will learn from and enjoy accompanying Gamerro and Barnett on The Adventure of the Busts of Eva Perón. Peter Buwalda. Jonathan Reeder, tr.